Lighting can make or break a photograph, after all a photograph IS a collection of light. Harsh lighting causes washed out detail in the highlights (whites) and lens flare. 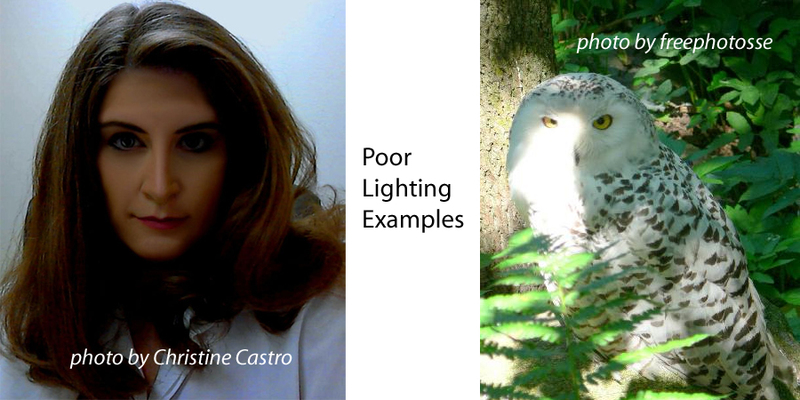 Low lighting can cause color shifts, muddy blacks without detail, color noise and blurry edges due to camera shake. On camera flash often causes the a flattening of the image and can create deep unpleasing shadows. Good photographs need to look natural, lighting a photograph is understanding light sources and using them to create mood and depth. Washed out images, those which are dark or lacking in contrast (flat) or those with deep unnatural shadows are most likely not going to meet GCU’s submission guidelines. 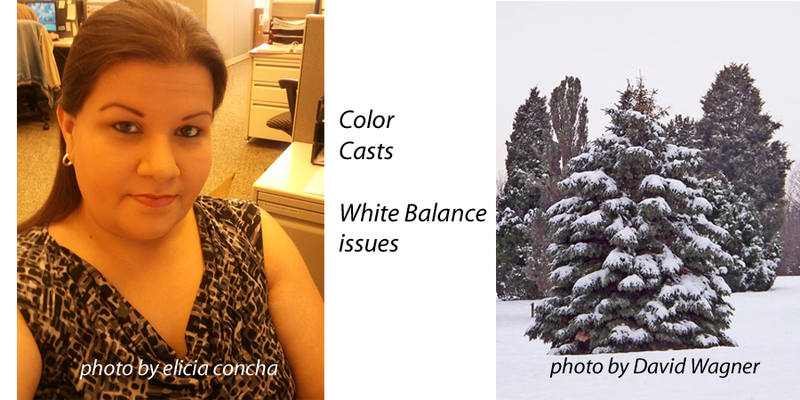 Having poor White Balance causes photographs to have ugly and unnatural color casts. 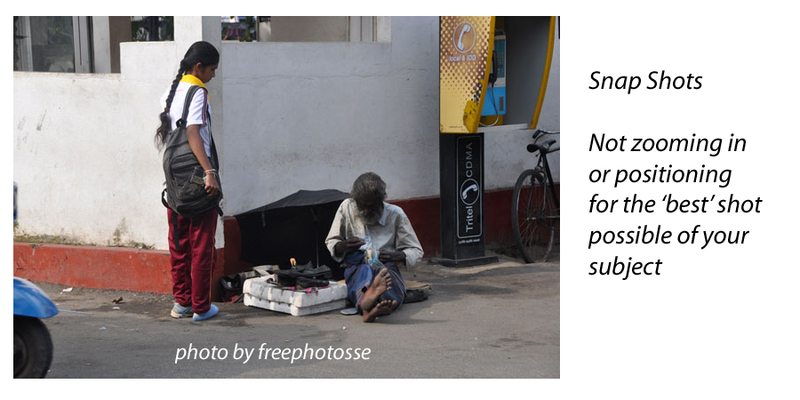 In photography, whites need to be white and blacks need to be black. 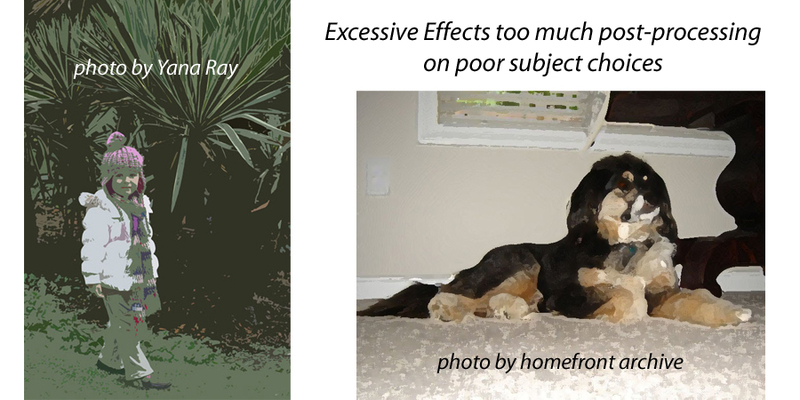 These color shifts can occur when taking the photograph and when scanning artwork, photos, negatives or transparencies. Correcting white balance is simple and can be done any of three ways; a) adjust white balance settings on the camera for the conditions you’re shooting under, b) adjust the color balance in post-processing software, or 3) use external filters on your camera lens prior to shooting. 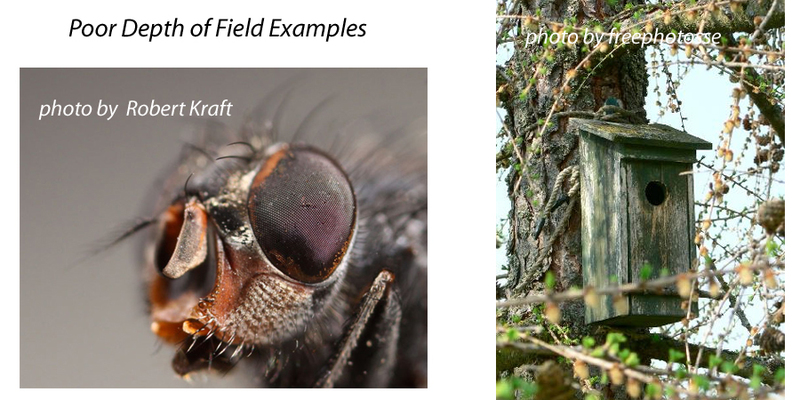 Understand how to use and when to manipulate Depth of Field. Shallow DOF has it’s place, but it certainly is not for every photo. 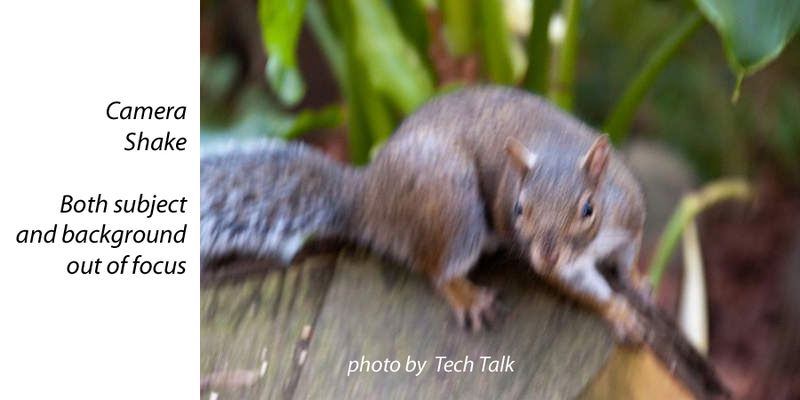 Most SLR cameras have a depth of field preview, easy to use and can be quite the learning tool. Learn how and when to adjust your aperture to gain focal length. Be sure your entire subject falls within the DOF range and make conscious decisions on where the DOF begins to drop off. DOF drop that begins and ends in the wrong place within your composition and your photograph is no longer a winner. Learn to observe your subject before you grab the shot. The BEST shot means you choose the best subject – this is really important when shooting floral photography to name one area. Browning petals and those eaten by bugs for example are not good subjects. Position yourself to the subject and light source so that you get the best angle and best lighting on your subject. Take the time to choose the right lens for the job and to add a fill flash if necessary. Challenge yourself to show your subject at it’s BEST! 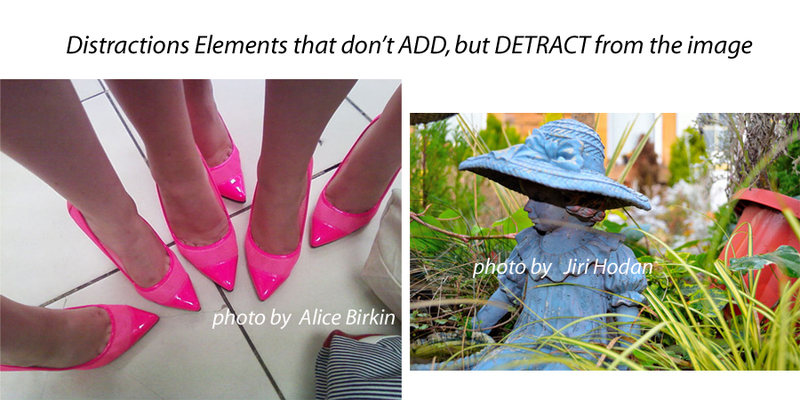 There is an old saying in photography; “That which does not add to the photograph, detracts from photograph”. Sticks and branches, messy living rooms, poles sticking out of peoples heads – all of these are found in snapshots and take away from an otherwise well-composed photo. When composing look at every element the camera is going to capture and position yourself so that those distractions do not ruin your photograph. Learn the basic rule of thirds. Until you understand and can successfully apply composition rules, you are not qualified to know how to break the rules! 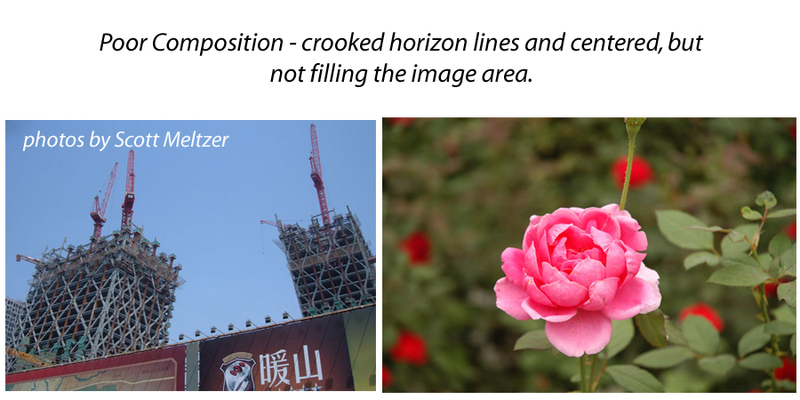 Be aware of your horizon line when composing; if there is a body of water, buildings, street or anything which adds horizontal or vertical lines to your photograph, make sure they are straight. When looking though the viewfinder, either fill the frame with your subject or use basic composition rules to place your subject in a pleasing composition. Taking photos of moving objects and/or while you are moving is a well-practiced skill. As many of you, when I’m on vacation I might grab a couple of shots out the car window, but only my scrapbook will see those images. In low light condition, use a tripod. You may think you are holding the camera still, but unless your shutter speed is well above the focal length of your lens you’ll have camera shake. Motion capture means that you are showing the motion of a moving subject, so one of three situations are considered successful capture; a) the image shows the moving subject in sharp focus (motion stopped) and the background shows indication of movement, b) the moving subject has motion blur and the background is in sharp focus, or c) stopping motion entirely so both the subject and the surroundings are in focus. Using a flash is not just turning it on and allowing it to run on whatever power output the default setting of your camera, it’s knowing how to set it for the lighting conditions. 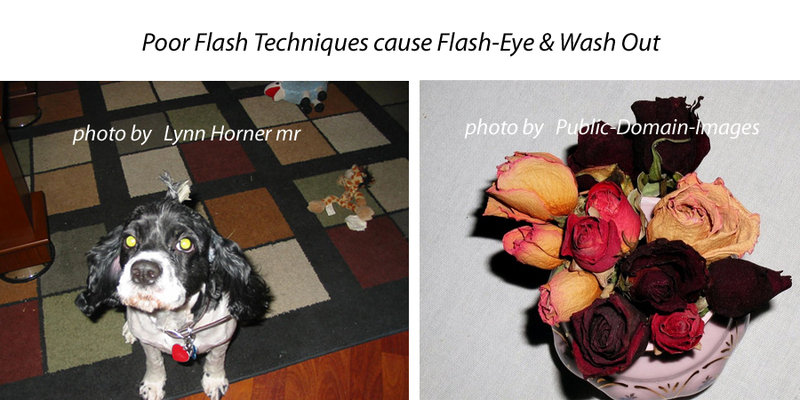 Flash causes deep shadows, washed out colors and of course that horrible ‘flash eye’ effect. Learn techniques for adding ‘fill light’ or ‘bounce light’ to your images when necessary; and if you get flash eye, regardless of whether it’s red, yellow or green; learn to fix it in post-processing. It’s important to understand the resolution your camera is recording at and/or what resolution to scan a negative or photo at in order to produce a quality 1500 x 2100 pixels image at 300 dots per inch (DPI) to meet GCU’s sizing standards. 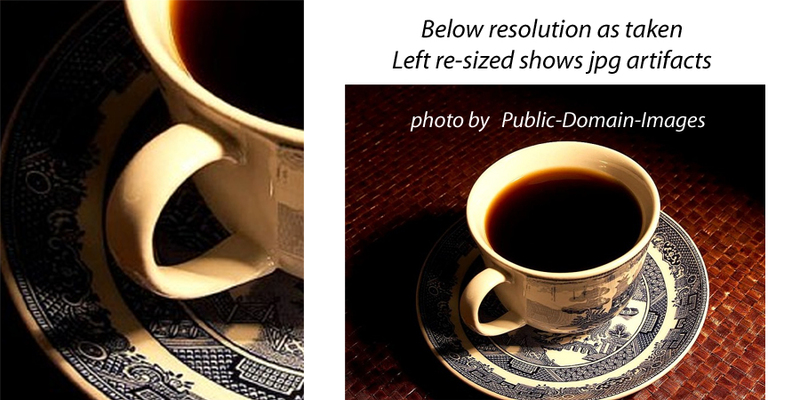 Simply resizing a photo which was recorded at 72dpi and changing it to 300dpi without modifying the pixels dimensions will cause serious resolution issues and your images will have jpg artifacts. Do your homework and don’t size images up! Remember jpgs are a compressed file type, so every time you save that image over itself, you are degrading the quality of the image! Work in an uncompressed format. As a general rule of thumb, post-processing photographs should be that which makes minor adjustments to color, tonal values, saturation, spotting, cropping and sharpness. A heavy hand during any of these adjustments can cause a degradation in quality resulting in color noise, color banding and loss of detail to name a few. In addition, excessive use of digital filters are a sign of ‘an amateur at the wheel’. Learn how to combine ‘effects’ with a light hand and choose your subjects carefully when applying digital filtering. Love all the tips! And I love that all the resource links. A very helpful tool! I finally got a Canon, Rebel XS, EOS and am quite looking forward to the day when I know how to really use it. I’m actually considering taking a photography course this fall. Probably should check into this asap, it’s almost time for school! Thanks for the article and continuing ifnormation Doreen. I know you’ve shared years of knowledge with us! Good luck to you! 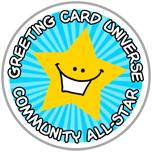 Thanks for stopping by, it’s greatly appreciated! Stellar advice and examples! Thanks Doreen. ALL very common reasons for card “no thank yous”.